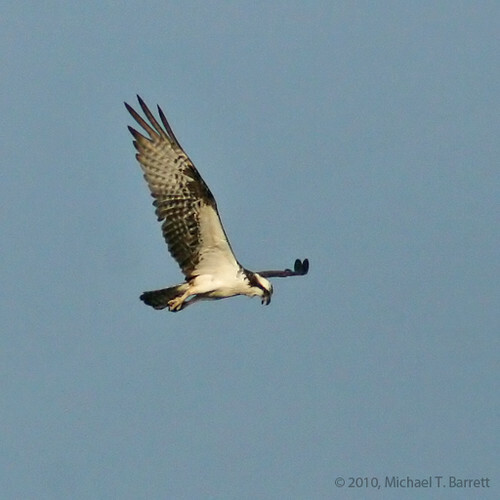 Saturdays are usually birding days around here, and today was no different. Well, it was different in the fact that we didn’t get out the door until 3:45 in the afternoon. After a quick discussion we decided we would head over to the E.L. Huie Ponds and the Newman Wetland Center to catch some late afternoon birds. All we needed to make the day successful were a few willing participants, ie: birds, and we would be set. After a quick stop at a Chevron along the way, we arrived at the ponds just before 5:00pm. We double checked the gate closing time, which was 8:00pm and we ventured into the facility. We didn’t even get up the driveway before spotting Purple Martins, Tree Swallows, Eastern Bluebirds, and an Eastern Kingbird. 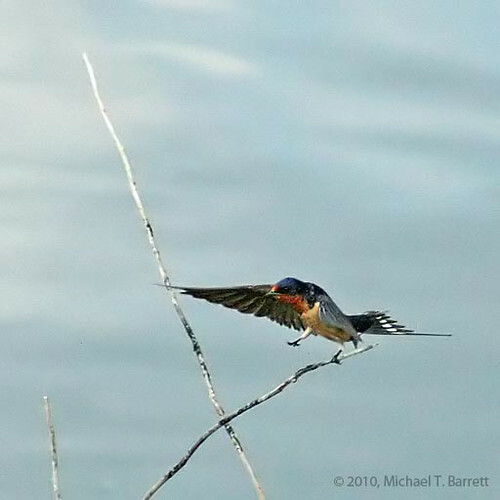 As we came around the building, we were greeted by Barn Swallows, Bank Swallows, more Tree Swallows, and a few Northern Rough-Winged Swallows. When we spend time at the E.L. Huie facility, we usually begin at Pond A mostly because we don’t see much in Pond B. As usual, we were not disappointed. 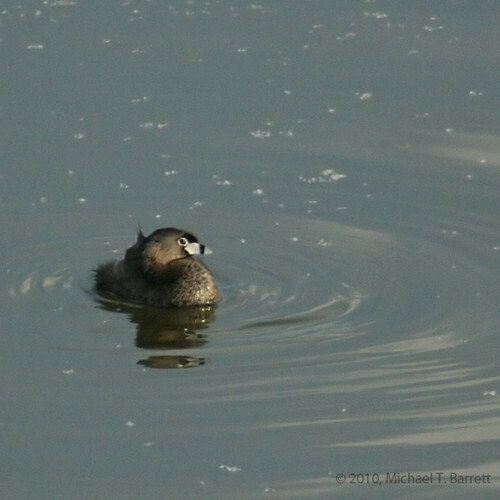 As we approached Pond A we noticed numerous Mallards, Canada Geese, and Red-Winged Blackbirds, but thrown into the mix was a Pied-Billed Grebe. 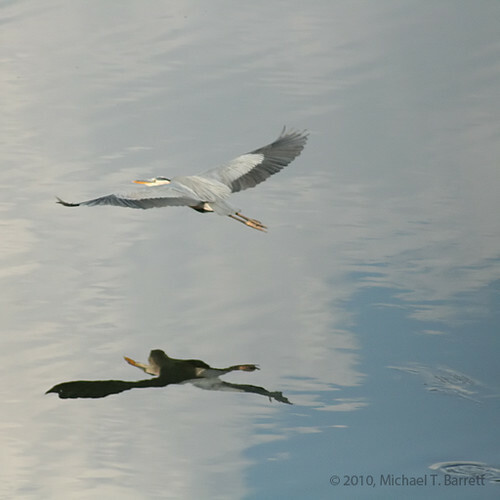 As we drove down the road between Ponds A & B, we startled a Great Blue Heron. 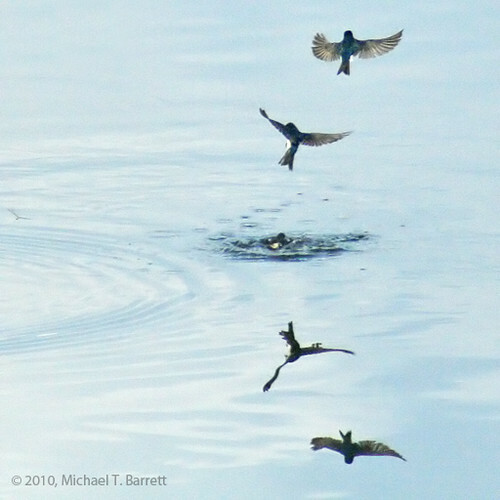 They always look majestic as they fly across the water. 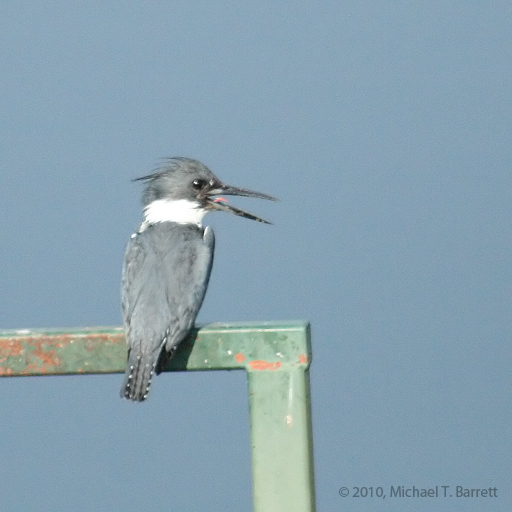 We saw a lot of the usual… Double-Crested Cormorants, Green Herons, a large assortment of small sandpipers, Rock Pigeons, Mourning Doves, European Starlings, Chimney Swifts, Thrashers, Indigo Buntings, Song Sparrows, Chipping Sparrows, and Mockingbirds. 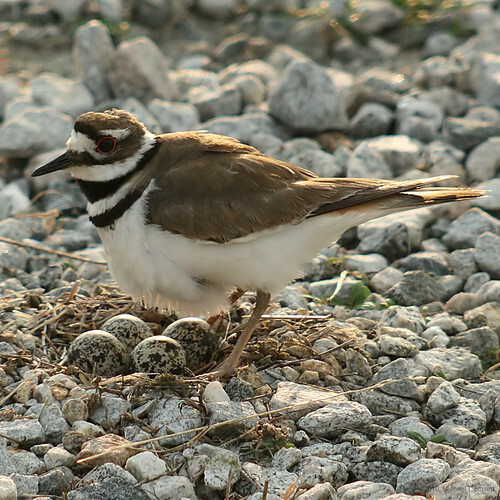 then we made a quick stop by the Killdeer nest to say hi to the momma Killdeer, well, we think it was the momma. We spotted the Common Moorhens that have been reported the past week or so, but they were so far off across the pond I couldn’t get a good photo of them. 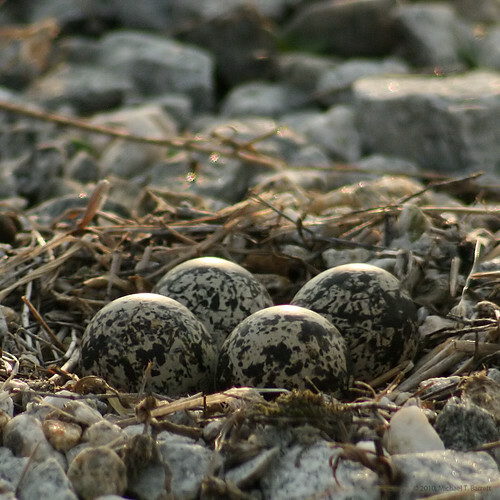 I tried my hand at digiscoping again but they didn’t go too well this time. 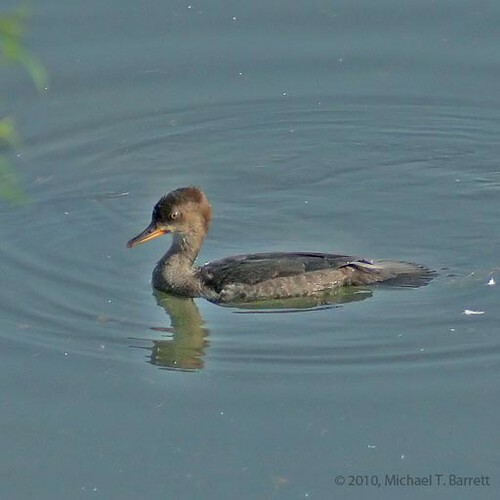 The two female Hooded Mergansers were hanging out on Pond E, not far from the Killdeer nest, and didn’t seem too bothered with our “ooohs and aaahs” as they swam around. 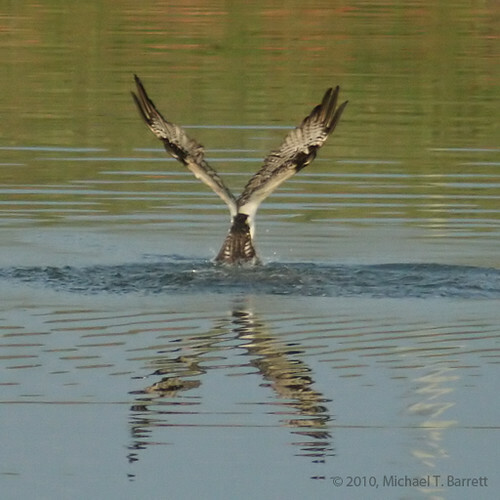 The highlight of the trip, for me, was the Osprey that came in for dinner at Pond A just before 7:45pm. The boys had a blast, as did I, as we spotted over 30 different species of birds. It wasn’t our best day at the facility, but it definitely wasn’t our worst either. I didn’t get the greatest photos, it must have been something to do with the stormy conditions, but all in all it was a great afternoon.